There are key elements that any leader should consider in the transformation of an organization. Taking a system through successful, durable, and meaningful change toward a culture of innovation will require clear articulation, implementation, and ongoing refinement of these key elements. 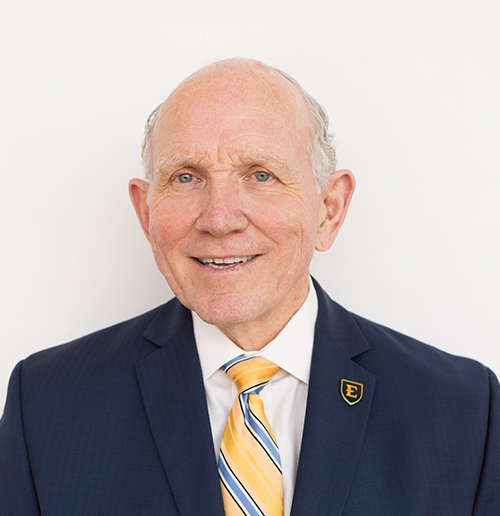 Dr. GREGORY F. ALOIA has been dean of the Clemmer College of Education at East Tennessee State University since July 1, 2017. Prior to his appointment at ETSU, Aloia served as president of the College of Coastal Georgia and president of Concord University in Athens, West Virginia. He also served as dean of the College of Education and a professor of special education at Florida Atlantic University in Boca Raton. At Illinois State University, he served as a professor of special education, associate vice president for research, and dean of graduate studies. His extensive experience in the field of education includes professorships in special education at the University of Arizona, at State University of New York at Geneseo, and at Arkansas State University. Early in his career, he served as an educational specialist for the federal government in the U.S. Office of Education; the executive director of a private residential youth center; and a research assistant, football coach and head wrestling coach at the University of California, Riverside. Aloia earned his doctorate in special education from UC Riverside and his bachelor of arts degree in history from Saint Mary’s College of California. He has won numerous awards for teaching excellence, minority mentoring, retention and recruitment, and his work in special education. At Arkansas State, he was honored as the “Outstanding Faculty Member” for his teaching, research, and service. He has more than 60 professional publications, and his scholarly presentations span almost five decades across seven foreign countries, 20 states and the District of Columbia. In 1986, he was named honorary dean of the College of Education at Taegu University, South Korea, and was inducted into his alma mater’s Athletic Hall of Fame. In addition to these numerous accomplishments, Aloia has also authored a children’s book entitled The Legend of the Golden Straw.